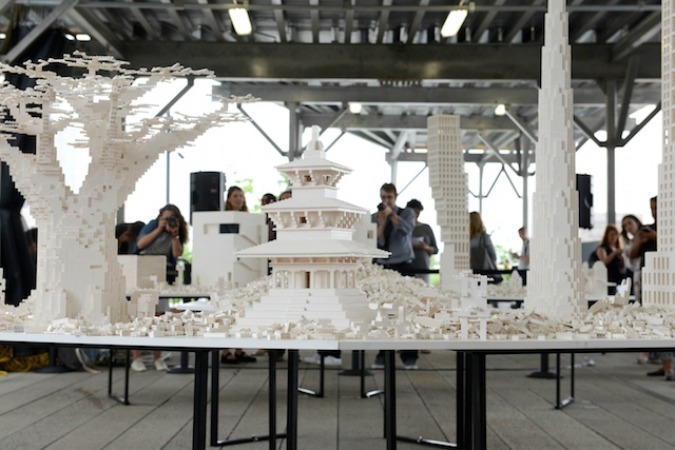 Olafur Eliasson explores duration and the ever-changing environment of the city in his latest installation of The collectivity project. 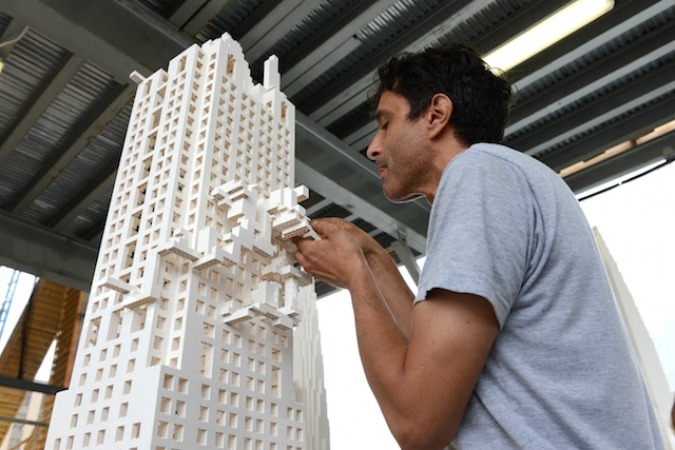 His participatory project brings over two tons of white Lego bricks to New York’s High Line in an effort to reimagine the cityscape. Starting with Lego brick structures of skyscrapers built by firms that include OMA New York and Renzo Piano, who built the newly opened Whitney Museum of American Art that now sits at the southern tip of the High Line, the installation invites the public to use the initial buildings as a point of departure to build and rebuild the structures in their own image, considering the spaces they live, work, and play. (source).